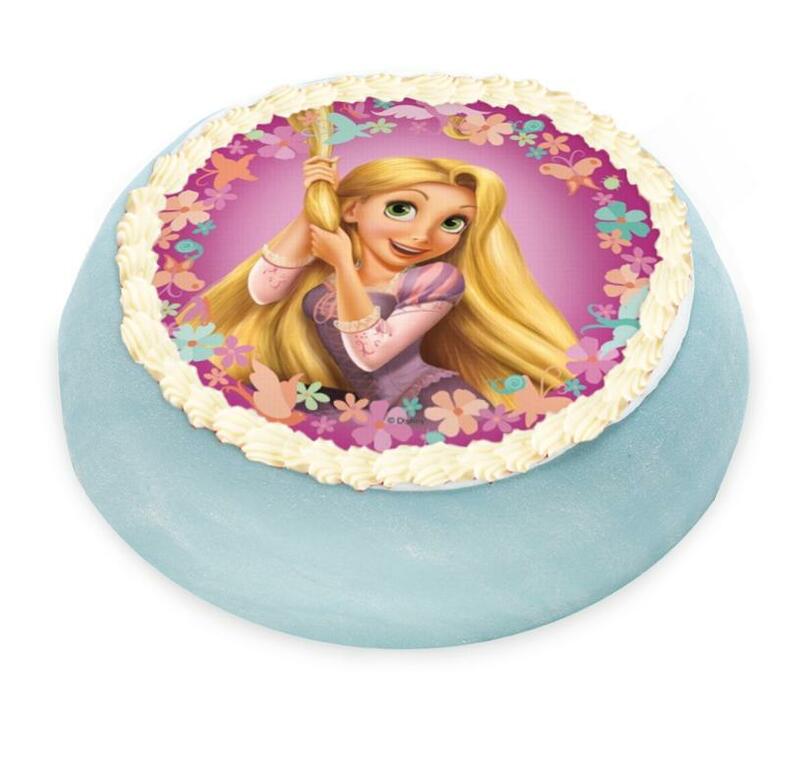 Blue prinsess cake decorated with a Tangled sugar wafer. Perfect birthday cake. Ingredients: Sponge cake, raspberry jam, vanilla cream, cream and marzipan. May contain traces of nuts.